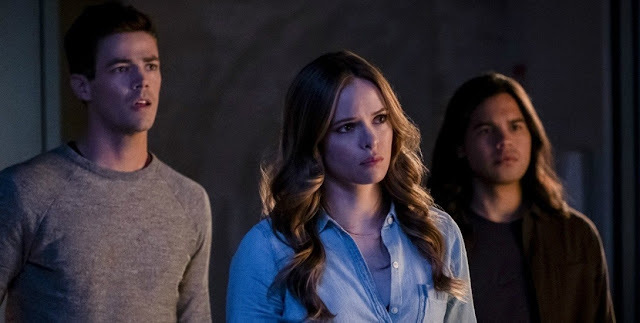 Review: ‘The Flash’ Season 5 Episode 6 – “The Icicle Cometh"
“The Icicle Cometh.” The title itself is a spoiler for long-time comics fans… or a nice hint of Caitlin’s potential future, for viewers who just love The Flash TV show. 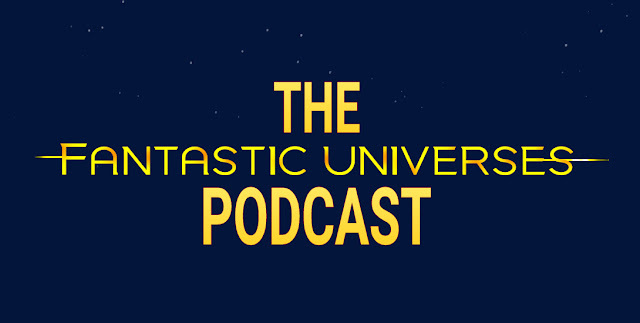 Whichever side of that imaginary fence you find yourself on, this episode has something for everybody. The Icicle, much like Killer Frost, is a character that has appeared a few times, with different aliases, over the course of DC Comics’ history. Seeing an all-new version of the character on TV, and tying him to Caitlin was a really nice touch. For the non comics geeks out there I won’t give too much away, but one of the season’s sub-plots comes to a head this week. I must say that it was pretty well handled. One of my favourite parts of this episode was the reunion of the show’s original trio of Barry, Caitlin and Cisco. Man, I’ve really missed having these three team up! Seeing them all facing danger and supporting each other again was a joy. To me these three characters, and the actors that play them, are the heart and soul of this show. 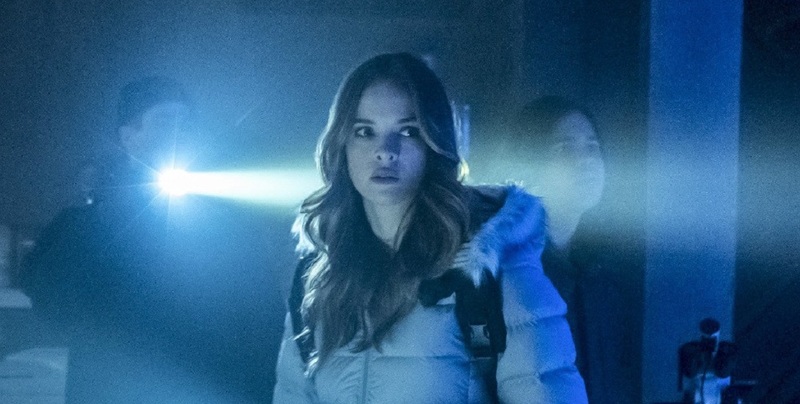 For the second week running Danielle Panabaker was the MVP of the episode, giving a pitch perfect performance. Guest actor Kyle Secor also gave us a cool, chilled turn as Thomas Snow… that’s all I have to say about that. 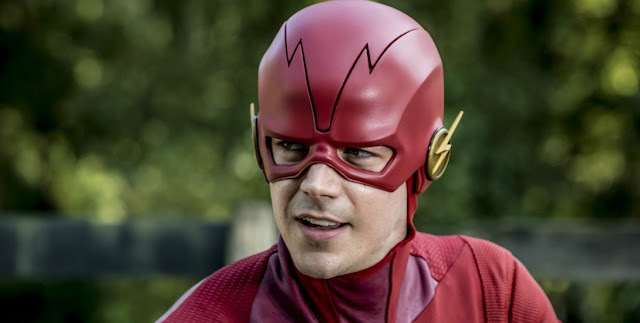 One little niggle I had about this episode was how little we actually got to see the Flash. 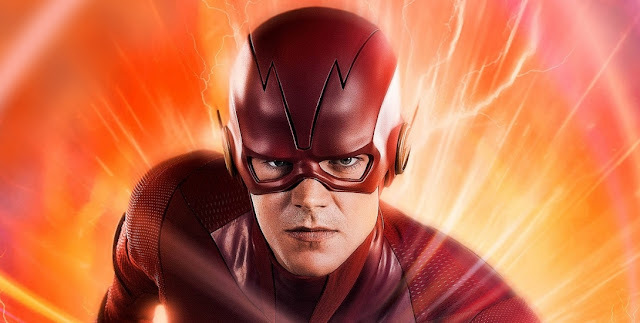 The story centred around all the different side missions, and Grant Gustin was mainly involved as Barry Allen, rather than as the Fastest Man Alive. Thankfully the writing for these side quests and the performances from the entire cast were all great. 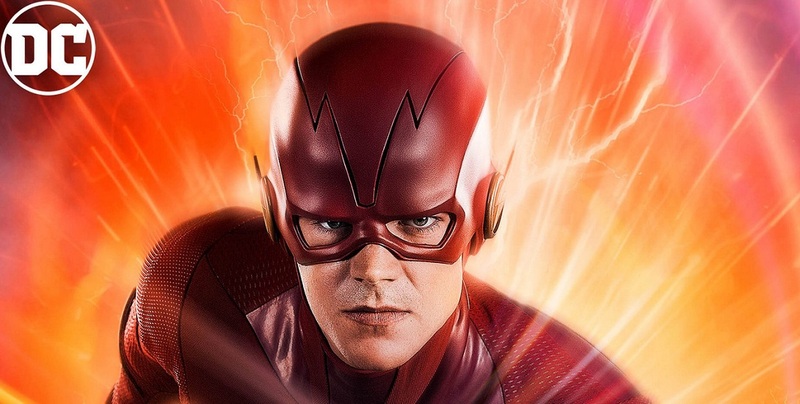 I do think that a series called The Flash could actually do with having more than just a flash in the pan appearance from the titular character. 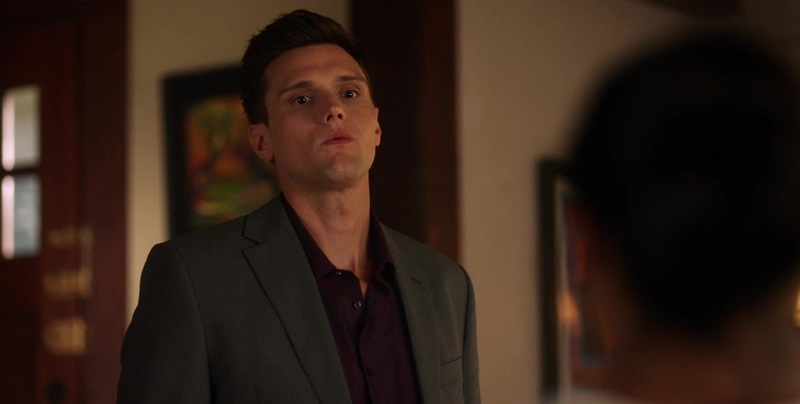 What I loved, however, was the terrific pairing of the wonderful Hartley Sawyer with Danielle Nicolet. D.A. Cecile and detective Dibney make a great team, in terms of both crime fighting, and comedy. I miss Jesse Martin (get well soon, dude) but promoting Ms. Nicolet to series regular this season was a brilliant idea. She may be small in stature, but both Cecile and Danielle are larger than life, impressive presences. More, please. One of the other side stories this issue centred around a reconciliation between Iris and Nora, as they accompanied Sherloque Wells on his quest to uncover the source of Sick Ada… sorry, Cicada’s powers. The initially arrogant Wells is turning out to be a far better team player than anyone would have expected. In fact, I would say that he’s one of the best alternate versions of Wells ever. 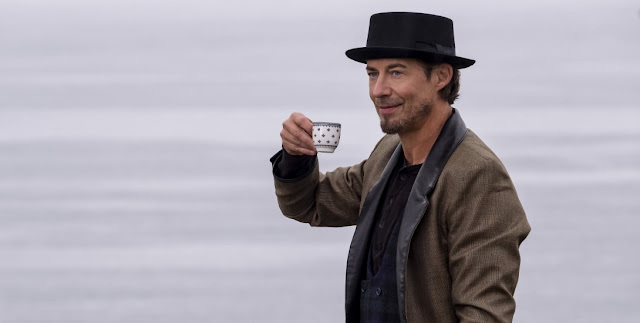 As always, Tom Cavanagh adds richness and depth to this new, and intriguing character. Last week we met one of the most memorable Flash TV Baddies ever, in the form of Rag Doll. This week Cicada’s back, and the more we learn about him the more complex he becomes. Sometimes TV and movie villains are just two dimensional cardboard cut outs. As we find out more and more about what made this man the way he is, I am actually starting to sympathise with him. Don’t get me wrong, he’s a madman and a murderer, but if my child had suffered at the hands of meta-humans like his daughter, would I be acting any differently? Warmer… Warmer. No! Ice Cold! 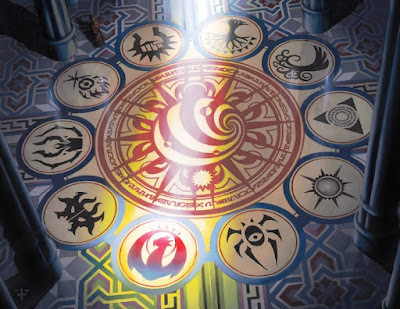 While this episode didn’t set the world on fire, it certainly gave us a lot to think about. Relationships developed, characters meshed and the threat level grew. 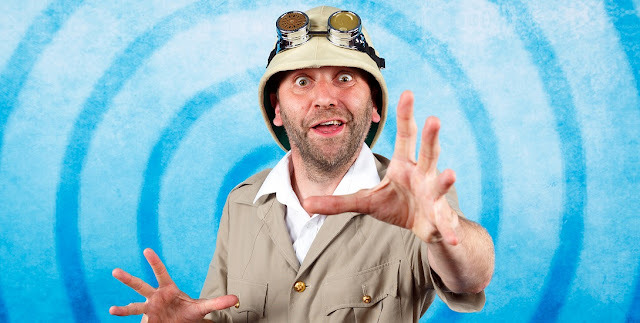 Eagle eared viewers may have heard Thomas Snow name drop a vintage DC baddie this week. I foresee this having major ramifications further down the line. If you do a sneaky Google search for Cassandra Jean Amell and see who she’s playing in the highly anticipated Elseworlds Crossover, you’ll understand what I’m getting at. “O Come, All Ye Thankful” is the title of the next episode, so I expect to see everyone in their Sunday best. I’ll grab a pew and keep it warm for you. See you in seven, folks.